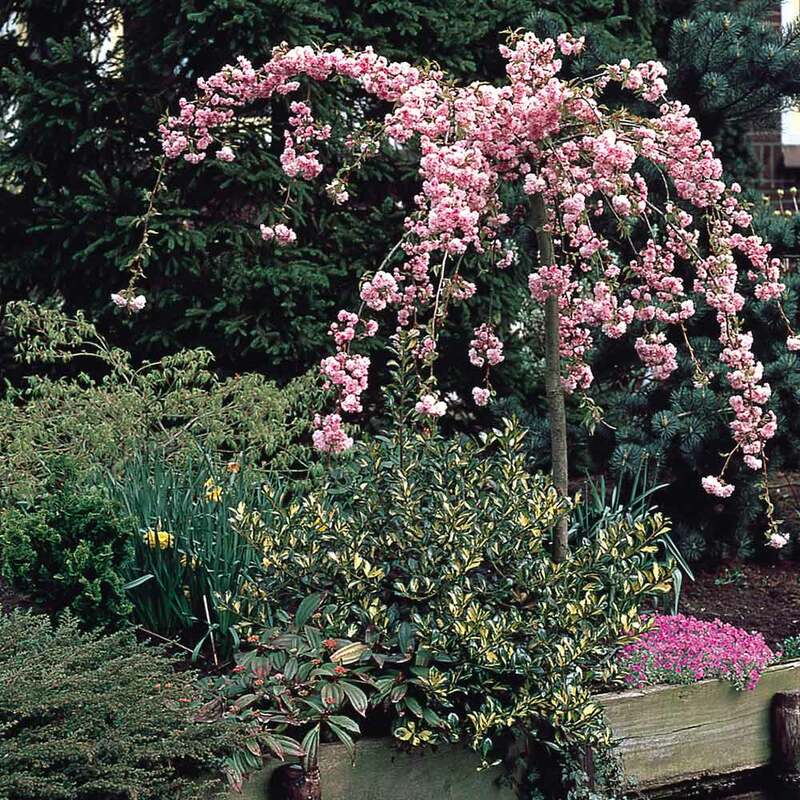 Add a touch of tranquility to the spring garden with this charming Prunus Flowering Cherry Collection. 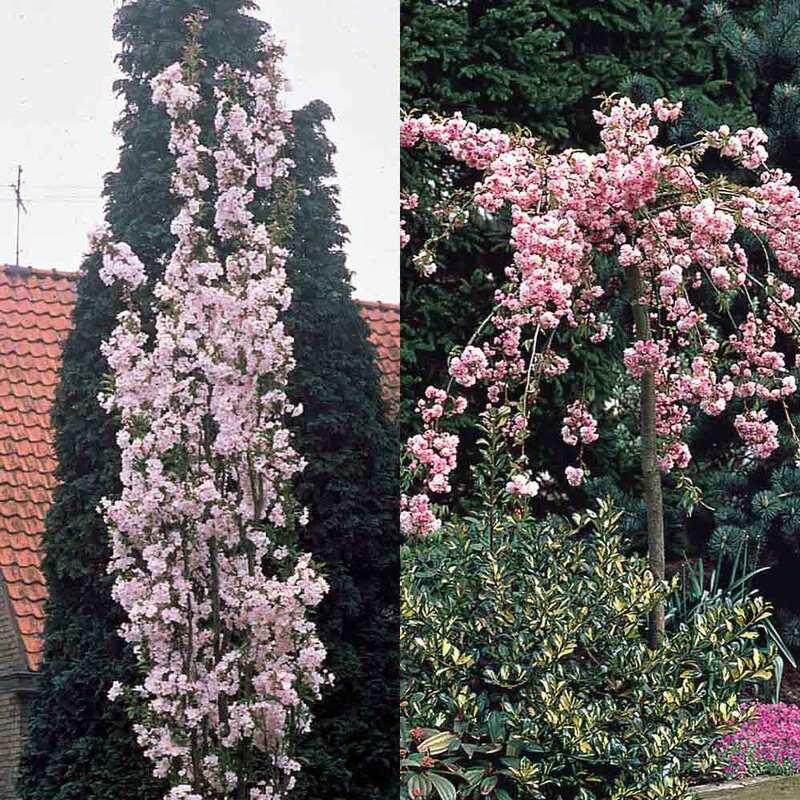 Both ornamental blossom tree varieties originate from Japan and produce an abundance of delicate pink buds which burst into a mass of frothy, aromatic blossoms during April and May. 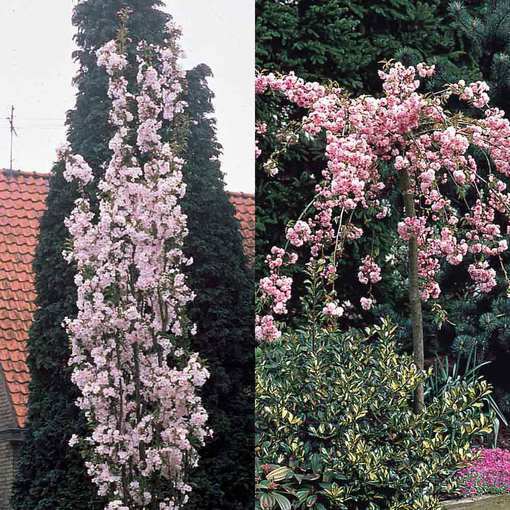 The collection consists of one each of Prunus Amanagowa, a compact, columnar specimen, and Prunus Kiki-Shidare-Zakura, also known as 'Cheals Weeping Cherry' and 'Prunus Sakura', the branches of which are bowed and pendulous. 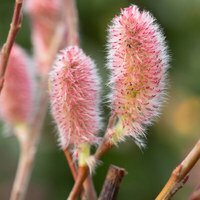 Both trees can flourish in a variety of soil types apart from those which are too wet or chalky, and require plenty of sunshine to ensure good flowering. Small and manageable in habit, these highly versatile varieties are perfect for gardens where space is minimal, and look particularly effective as a lawn feature or when planted by a small water feature or ornamental pond for the ultimate display of Japanese elegance. Loose rooted or poly pot plants supplied. Reaching a mature height of 350cm. How Supplied Loose rooted or poly pot plants supplied. Loose rooted or poly pot plants supplied. Planting Plant in hole large enough to firmly hold the roots and you may need to use a stake to help provide support. Plant in hole large enough to firmly hold the roots and you may need to use a stake to help provide support. 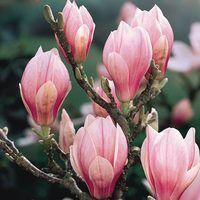 Is best planted in fertile, well drained but moist garden soil. Best planted in full sun. 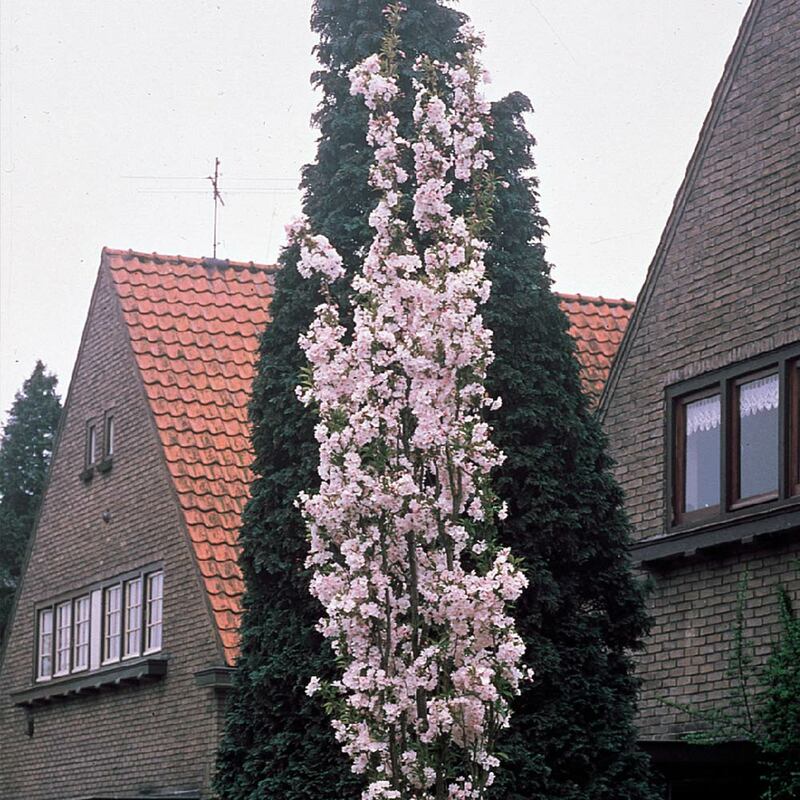 Prunus are amazing shrubs/trees that will be perfect for gardens of all sizes, not matter how small. They should be watered regularly and planted as soon as received.